Tim Collins started his love affair with lacrosse in the 9th grade at Fayetteville Manlius H.S. outside Syracuse New York. Tim played both lacrosse & football throughout high school. He also attended Manlius Pebble Hill Prep school for a year where he was captain and the MVP of their lacrosse team. In 1973 Tim started his college career at Ithaca College. At Ithaca, he played four years of lacrosse & football. A starter all four years on the lacrosse team he was also named captain his senior year. In 1979, Tim tim moved to California and briefly played for the Berkeley lacrosse club. Tim started officiating lacrosse in 1988. In his capacity as an official, Tim officiated high school, college, and the NLL. He officated many playoff games- college and high school- during his 28 year stint in addition to officiating almost 3,000 games. He was also was a clinician, evalulator and NCLRA board member. Tim purposefully tried to make the games he officated fun & fair for players, coaches and his fellow officials. In addition to the specific facts showing Tim's worthiness for the NorCal Chapter's Hall of Fame, there are two additional, but subjective aspects of his officiating that show he is deserving of induction into the hall of fame. Firstly, Tim is simply one of the best men's/boy's lacrosse officials in the United States. Those who have officiated at the top level USILA men's lacrosse, such as Denver vs. Notra Dame, place Tim right in there with with officals who have officiated the NCAA Division 1 Championship game. Their assessments of Tim indicate that he is every bit as good an official as any of the officials they have worked with in MLL games. Second is his involvement with the Northern California Lacrosse Referees Association. Tim Collins has been one of the main reasons that the NCLRA has such asn outstanding reputation. In addition to having all of the technical skills and attributes neeeded to be a superb on-field official, Tim has also inspired numerous lacrosse players to become lacrosse officials themselves. A significant number of former Northern California lacrosse players have become officials because of Tim's example. He has helped multiple generations of lacrosse players understnad that they: could give back to the game by bcecoming an official; and that officials can have fun while officiating a lacrosse game. A Bay Area native, Steve Dini has been instrumental in the growth of lacrosse across Northern California, focusing his efforts on player development and instituting a love of the game in teams and communities. 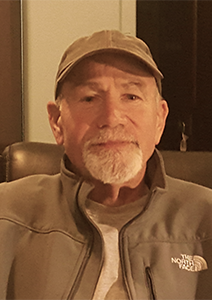 Steve has coached at all levels – from youth, to high school, to college club, to NCAA Varsity – while also running and founding clubs, tournaments, and travel teams, teaching dedication, desire and discipline. Steve started playing lacrosse as a youth in Orinda after getting a stick from his older brother Bruce. He went on to play at the Dunn School, Colorado State University, and Chico State University. But Steve’s talents and his impact on the sport were magnified when he traded in his stick for a whistle and moved from the field to the sideline. From 1994-2000, Steve focused his efforts on growing lacrosse and opportunities to play throughout the Bay Area. He ran the Southern Marin Lacrosse Club from 1994-1998, taking the club from 20 to 250 players. He started one of the first U14 team in 1997, followed by the first U12 team in 1998. He also started girls youth and high school teams. 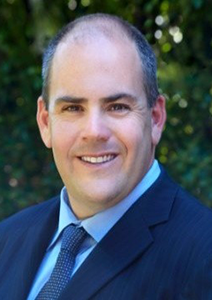 Steve served as president of the NCJLA from 1999-2000, while also acting as head coach at Marin Catholic High School. He also created and ran the NorCal Box League and NorCal All-Stars, taking the first California youth team to play in the NJLA National Youth Festival in Baltimore, MD in 1997. He also took West Coast lacrosse global as the founder USA West Lacrosse, a travel team that gave men’s and women’s players the opportunity to play in global tournaments in Japan, China, Australia, New Zealand, Korea, England, Germany and the Czech Republic. The trip to China in 2002 marked the first time a full American team had ever played a lacrosse tournament there. Steve’s hard work and success on the field earned him a chance to return to his alma mater, this time as the coach at Chico State. In his three years there, he grew the team from 12 players to 45 and achieved a new level of success taking the club to the MCLA National Championship Tournament in 2003. In 2016, Steve was inducted into the Chico State Lacrosse Hall of Fame. In 2004 he returned to the Bay Area as head coach at UC, Berkeley. At Cal, he rebuilt the team from 20 to more than 45 players, led the team to the WCLL playoffs two out of five years, and returned to Asia, taking the team on a tour of China and Japan. His collegiate career ended at Notre Dame de Namur University where he headed their NCAA Division II program from 2009-2011, earning league champion and coach of the year honors in his final year. Steve’s lacrosse career has come full circle. He now lives in Marin with his family (he already has sticks in the hands of his 4-year-old twin girls) and is volunteering his time and expertise providing coach training in the area. Steve is thankful for all the players, parents, coaches and volunteers that have helped him through his wonderful lacrosse journey. Laura MacDougall Jennings has been a champion of the game since the first the first day she learned that her high school in Dover Delaware was going to be fielding a team. Other sports did not keep her interested. It was her friends Katie and Leslie that encouraged her to try out for lacrosse instead of softball. It was the fast pace, acceptance of all types of girls and the physicality that captured her attention and has yet to let it go. Since 1996 she has been involved as a player, official, coach and organization leader. In every capacity she has exemplified the qualities of a true champion of the game. As a high school player she learned the valuable lessons that we hope all young women learn through participation in sports. She learned humility, leadership, perseverance and to love the game for it’s inherent qualities instead of the love of winning. For 3 years her team lost every game. Playing against opponents such as St. Peter and Paul, and Tower Hill School taught her to appreciate the competition and the value of setting personal game goals. The games were tough but in every one of them she learned something and came to understand the Native American phrase “we are honored by a worthy opponent”. Her fondest memories of high school lacrosse are of helping to coach her own team because the school did not have an experienced lacrosse coach. Laura had a former D1 wrestler turned English teacher as her coach. As captain she would create the skill based drills and he would develop the strength and conditioning portion. It was the first instance of her sharing her love of the game with others. Her career highlights included 3 X MVP, First Team Delaware Senior All Star and participating in the USL Women’s National Tournament as a member of the Upper Mid- Atlantic Regional team. Her experiences in high school have continued to inspire Laura to volunteer in the lacrosse community because she knows what it is like to want to learn but to have limited resources. Laura continued her playing career at Wesley College in Dover, Delaware where she was a 4 year starter at center. She went on to set school records every year that she played. Despite her freshman year stats being lost, she is still ranked in NCAA D3 for most goals in a game (9) and for points in a season (77). Not a season went by where she was not named as the player of the week for something that she accomplished. In 2002 and 2003 Laura was a catalyst for her team’s berth in the playoffs. At the end of her collegiate playing career Laura had collected 3 MVP awards, 1 MVP Offense, school record of 200+ goals,160 career points, 53 caused turnovers and was named 2003 Female Athlete of the Year for Wesley College. She also made her mark in the D3 ranks by being named 2nd team ALL PAC in 2001, 1st team ALL PAC in 2002 & 2003, and ECAC South All Star First Team in 2002 and 2003. In 2001, 2002 and 2003 she qualified for the Upper Mid-Atlantic National Tournament team. As she began to transition from player to coach, the State of Delaware House of Representatives recognized her in the General Assembly for her contributions to the development of the girls lacrosse game in Delaware. She was a leader on the field and her volunteer work with the youth teams had a tremendous impact. In 2014, she was inducted into the Wesley College Athletic Hall of Fame as the schools first women’s lacrosse player. As with any Champion of the game she did not stop when the college games were over. As a member of the NorCal Chapter of US Lacrosse Board of Directors Laura has helped to coordinate the NorCal Coaches Convention, player instructional clinics, and US Lacrosse Coaches Education clinics. For the 2015 NorCal Lacrosse Convention over 100 participants were able to learn about lacrosse because Laura coordinated the keynote speaker, women’s track speakers and field demonstrations. Laura has also served as the Secretary for the Chapter. For Petaluma she began her service as their Head Varsity Coach for their girls high school program were she led them to the 2013 NCJLA Championship. 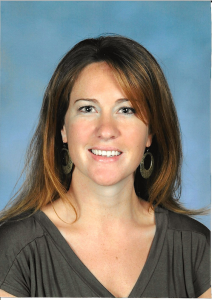 She continues to serve as the club’s Girls Athletic Director. She also heads up the girls division of Friday Night Lights (a free clinic every friday night in Petaluma, CA). Laura designs drills, and coordinates special guest coaches for over 50 participants each night. Laura has also been an official since 2004 when she began officiating the youth games in Rehoboth, Delaware. Since moving to California in 2012 she has quickly stepped into help with the operations of the local officials board. She is a certified trainer and the Co-chair of the NorCal Chapter of US Lacrosse Umpire Committee. In the 3 years that she has been involved with the committee, she assembled a core group of local leaders and assisted with creating an assigning organization to service the NCJLA, SLVC and MCAL leagues. Laura sees her primary role to support those leaders so they can reach their full potential. Her team has made improvements that have other regions calling and asking for advice. Each year has seen growth: (2016) 86 juniors and 65 adults (2017) 89 juniors and 76 adults officials were trained. In 2018 her team will train and certify over 174 officials. Her team is on track to prove that they can grow by 5% each year despite some officials retiring or moving to a new region. Laura continues to amaze people with her passion for the sport, her tendency to draw her defender into shooting space as she is playing in her post collegiate games, and her unwavering support for anyone who is willing to learn to officiate, play or coach the game. Her selflessness can only be matched by her husband Matthew Jennings who has committed to “letting her reach her full potential”. Without his willingness to care for their two children Audrey and Tyler while she is away, Laura would never be able to contribute to the NorCal Lacrosse Community to the extent that she has since 2012. Bill Kurz first began playing lacrosse for the West Genesee team in the summer leagues of Camillus, New York. He also organized and played on the Camillus Club House box lacrosse team. After graduating from SUNY Cortland he moved to California in 1981 taking up residence in Palo Alto. Bill quickly joined and soon became president of, the Palo Alto Lacrosse Club. A very successful attackman, he was named to the NCLA All-Star team 4 times. Bill also served as a member of the NCLA (Northern California Lacrosse Association) Board for four years. While playing for Palo Alto, Bill was invited to help coach at Santa Clara University. Thus began a 43-year coaching career. Bill was the assistant coach at Santa Clara Univ. with Gary Podesta as head coach. This combination produced a very competitive and successful team (3 times West Coast final four). In 2005, Bill was inducted into the Santa Clara University Lacrosse Hall of Fame. In 1989 Bill was approached by several high school students who wanted to play lacrosse. Bill helped them play for the Palo Alto Men’s Club Lacrosse team. With help from, and overwhelming involvement of, the Palo Alto Club players, Bill founded the Palo Alto Tomahawks Youth Lacrosse Club. In 1993, Bill left the Palo Alto Lacrosse club to organize the Santa Clara Lacrosse Club. This team was a member of the NCLA Division B League. The team won 3 straight League Championships (1993, 1994 and 1995). 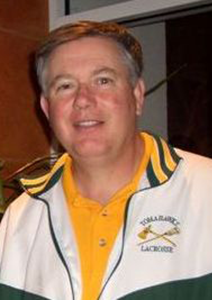 In 1997, Bill returned to serve as the coach of the Palo Alto Tomahawks High School Varsity Lacrosse Team. This was the start of a very successful High School program producing numerous NCJLA Championships, 48 NCJLA All-Stars, 6 All-Americans and a State Championship. Bill attributes much of the success to his assistant coach, Paul “Nipper“ Donovan. While coaching, Bill also served on the NCJLA Board from 1998 to 2006. In 2002, the CIF declared lacrosse a high school team sport. The Club teams were now spread far and wide across Northern California. They could only play one game each weekend due to hours of traveling. Seeing this, Bill founded and organized a weekend high school club Jamboree. Bringing together local teams, as well as ones from as far away as Chico, Mendocino, and Monterey, the teams would play multiple games on one weekend. This event was immensely popular and over 50 games were played over the course of Jamboree weekend. In 2005 (still coaching Tomahawks), Bill Co-founded the South Bay Crusaders Youth Lacrosse Club with fellow Co-founder, Bob Curley. With Bob and Bill overseeing the Board, the Crusaders quickly became a very successful youth program, winning NCJLA medals in almost every program level in both girls and boys Lacrosse. That same year, he became the NCJLA high school boys Lacrosse Commissioner and was named the NCJLA Man of The Year. Bill has continued coaching at high schools in the South Bay area. He is currently the head Varsity Coach at Mountain View High School in Mountain View, Ca. Bill is also a Double-Goal Coach with strong ties to the Positive Coaching Alliance.